State of New Jersey announces big news about mandatory TDB insurance for business owners. If you’re an insurance broker or a business owner in New Jersey or across the New York Tri-State area, this month brought some breaking news you should be aware of. And no, it’s not about the election…. In fact, it relates to mandatory TDB insurance, a product with potential to earn insurance brokers more money. 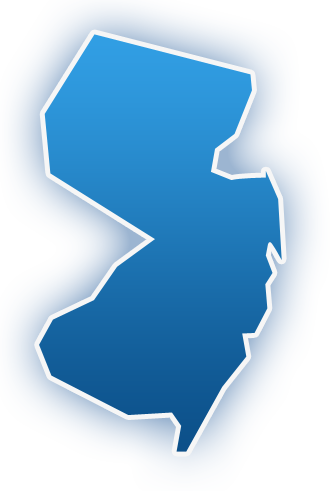 The State of New Jersey Department of Labor and Workforce Development has increased the cap for mandatory Temporary Disability Benefits (New Jersey TDB) and Paid Family Leave up to $633 per week, a modest increase of $29 per week. The Taxable Wage Cap increases to $33,500. And the employee contribution portion of the premium increases by 20 percent. These changes are slated to go into effect January 1, 2017. The increase also affects New York, Pennsylvania, and Connecticut businesses with employees who reside in New Jersey—as well as businesses across the country that may hire telecommuters. These companies are required to pay NJ TDB insurance premiums for their employees based in New Jersey. The TDB Insurance increase sounds like a good thing: It means a few extra dollars for workers who are out due to an illness or injury that is not work-related or for someone who has just given birth. But the benefit increase also brings a premium increase of 20 percent, to be covered by employees. TDB is a shared-cost benefit, where the employee pays a portion of the premium and the employee covers the balance with pre-tax dollars. Benefit premiums often become a part of salary negotiations for highly valued employees. Lower premiums may also aid in recruiting top talent in highly competitive fields. With many businesses and their employees still reeling from health insurance premium increases as a result of the Affordable Care Act, employees may not be happy to hear about a NJ TDB premium increase—especially for a mandatory benefit they might never use. Insurance brokers in New Jersey (and beyond) do have choices when it comes to who writes your customers’ TDB insurance policies. By helping your corporate customers buy TDB insurance in the private market, you can save them thousands of dollars per year—hundreds of dollars in savings per employee—depending on the size of the business. If you are already writing your customers’ P&C insurance policies, health insurance, ancillary benefits, or life insurance, you can shift their State Fund TDB coverage to a private carrier, earn a flat 10 percent commission, and provide your corporate customers substantial savings when they bundle insurance. You’ve already established the relationship, so you don’t have to invest time and money prospecting for new customers. With a few simple phone calls, you can save your customers money and provide them enhanced value—and earn 10 percent commission. Selling NJ TDB insurance requires a level of specialized knowledge—and that’s where The DBL Center comes in. Give us a call and supply one of our agents with the group’s Fed ID # and main address location, so we can determine where the account is currently placed. Whether it’s with the State Fund or a private insurer, one of our agents will tell you exactly what to say to sell privatized TDB insurance and save your customers money on their premiums, while receiving the exact same benefits if they need it. The State Fund automatically writes TDB insurance coverage for all business owners. But most business owners, CEOs, CFOs, and HR directors don’t realize they have a choice and can purchase their TDB insurance privately to enjoy lower premiums and a higher level of customer service with a broker they already know and trust. It’s up to you, the broker—with the constant support of The DBL Center’s expert staff—to share this information and show your customers the savings. Adding private TDB insurance coverage to your offerings is easy with The DBL Center by your side. We even have a website set up to assist. Visit www.eztdb.com for more information on how you can expand your book of business with TDB insurance. Simply print and fill out this form to start providing your customers with lower premiums on TDB insurance and the level of white glove service they deserve.